Welcome to the Acquired Hospitality Group Inc. corporate site. This company was founded in 2012 by Matthew Sanscrainte, the current CEO. 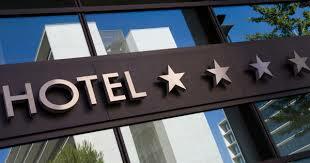 We are a full service hospitality management company. With offices in Columbus Ohio, and Chicago Illinois, our commitment and ability to drive profitable top line revenues enhances our guest experience and investor returns. From day to day operations, sales & marketing, facility development, renovation, re-positioning, construction, brokerage and consulting services we can service all segments of the hospitality industry. We are not only a hospitality management company, we manage houses as well, apartments, condos, housing associations, and even mall/retail leasing, were here for you. Call today to schedule a free consultation. Looking for a new Career, well your on the right path and site to find a new job that might be entertaining to you! With our vast and rapid growing careers we want you to be part of the AHG Inc., team! Go to menu and click on Careers today! What are you waiting for! Or click on Go to Career Page button! Hi I'm Matthew Sanscrainte, (current Chief Executive Officer), as a little kid growing up I've studied the bad habits of companies, once I was even told not to say anything to corporate by a pretty big corporation that I'm sure a lot of you know. Any way it's not about who did what , and they did that, it's about what can do to make a better corporation, and to improve upon what most companies foundation are based upon. I will make this corporation thrive, without using loop wholes, or pocketing company money, I will make sure that what is done, is done right, and you better believe that I care the most for my employee's and customer's. No matter what this company name when you see it in the paper, in media, or even if you see it in a city your thinking about visiting, you're going to think of it as the most prestige’s company out there, and you will feel very proud to be our consumer, or guest, knowing that we do a lot for your community, as well as our world, and that we are making a better place. Knowing that we don't just use your money for capitalism reasons, we use it to help people in need, to help third world countries that can only afford to live off one dollar a day, or to see that people in America or even the world for that fact don't go starving for the rest of their lives, that children get the chance to have an education as well as adults. See that's what you need to look for in a company, is the good that they do all over the world and better yet even in your community, so if you’re at all interested in this company, or that you want to be one of our millions of guest a year, or to have us as your consulting firm, and property management firm, I say to you with open arms, welcome! I thank you for reading our corporate message, for every one that has read this I personally and sincerely say thank you!